On Saturday the 26th of January, forty-four Group 2 members assembled at Amazon’s campus for a Safety Day, and an additional half dozen or so attended remotely via online conferencing. Group 2 Members Waiting for the Safety Day to Start. 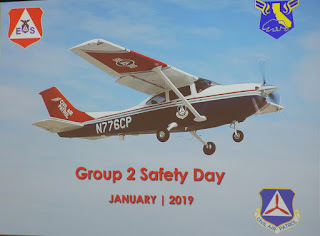 Finally, we’d like to express our appreciation to Amazon for hosting us at their facilities and to the many dedicated CAP members who gave up a beautiful Saturday to participate in this safety event focusing on aircrew professionalism. 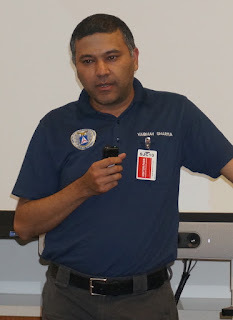 The National Transportation Safety Board (NTSB) is still ruling on probable cause of the accident, but in the meantime, we can certainly reflect on how quickly situational awareness can erode and how ALL crew members can and should speak up when they see safety related issues as they arise. Maj Michelogiannakis, who is also a FAAST team member, talked about Group 2’s safety records. We have had minimal incidents – something that we want to continue; i.e., minimal mechanical incidents that we can’t do anything about, and no incidents that hurt people. Plane pushback – after a flight, or flights, the crew might be tired or grumpy, and it’s easy to lose situational awareness or to communicate less effectively. In this instance, one of the crew members was struck by the wing as the plane was pushed back. This is a good time to slow down! Wing strike – in another incident, a plane was parked too close to a fence and the wing struck the fence when making the turn to park. In the Bay Area, PAO is one of the airports that we regularly use and that is susceptible to this, simply due to its tight configuration in the parking areas. Low-level stall – here the pilot apparently verified the flight controls prior to takeoff. Everything seemed normal until about 60 knots, at which time the nose pitched up abruptly. The trim was found to be 10 degrees down – not a configuration you want on takeoff. We don’t know what happened, but it’s possible the autopilot test during the preflight may have changed the trim – which is why we want to check it again afterward (as it also says to do on our checklists). If anyone in the aircrew notices a checklist item being skipped, that’s the time to speak up. 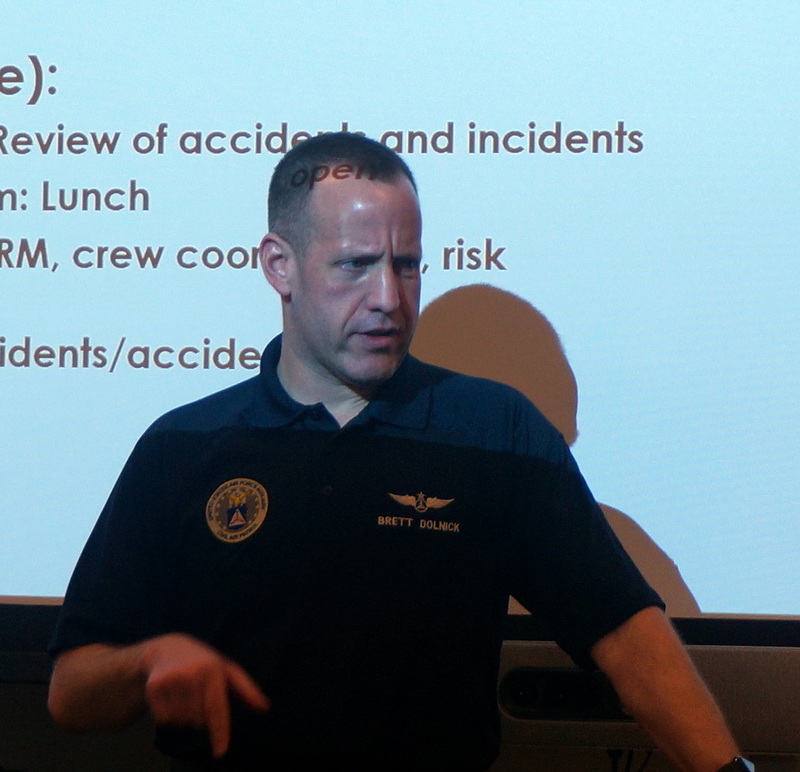 Maj Edwards Discussing a Previous CAP Accident. We can’t be certain how this might have happened. However, it’s possible that time pressure had something to do with it. 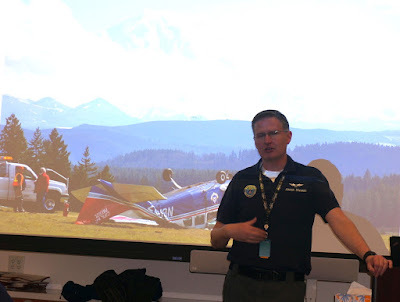 We also had some good discussion in the room about preflighting, checklists, and whether we do a full preflight after the first flight, on subsequent flights in the same day. Once you start modifying checklists, what bad habits are you developing? 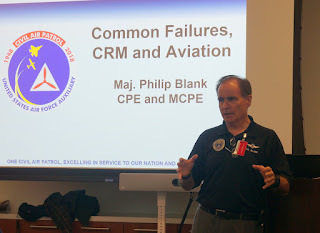 Several other CAP examples were discussed, which also highlighted the fact that sometimes situations creep up on you (another reason to always anticipate and stay ahead of the plane / situation) and that your choices particularly as a pilot may become more and more limited as a situation progresses. It’s easy to say afterward “what were they thinking? !”, but it’s not always as easy to make the right decisions at the right time in the moment. Larger airplane examples also provided good material for discussion, and we talked about the importance of training, of paying attention to factors like fatigue, and of communicating clearly and effectively. Over-dependence on equipment – can you find the grid corner without using GPS? Inability to fly the aircraft in basic search configuration – know your power settings for different flight configurations! With Maj Blank, we also discussed several critical factors, including a key one – normalization of deviance; i.e., the acceptance of behaviors and operating procedures that are non-standard. Just because “we always do it like this and it’s never been a problem” doesn’t mean it’s the right or the safe way to do it. Doing it “your” way may come back to bite you; accommodations for style are important – but never to compromise on safety. Expectation bias and what constitutes clear and effective communication were additional hot topics. There are multiple identified leadership styles in aviation. The one we are aiming for is the Transformational style, using CRM – a leader evaluates the changing dynamic situation and doesn’t get locked into a single course of action; this leader listens and acts on the inputs of those around them (the crew members). One of our challenges in general aviation is that most of us have only been formally trained in single pilot operations. 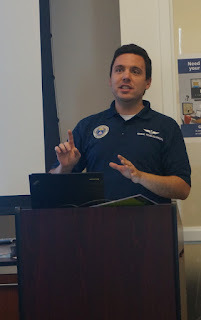 The FAA has excellent guidance on this topic – and it is well worth reading. Red flags – how do you see it (loss of SA) coming? If it does happen, how do you recover from it? Later in the afternoon, Col Luneau addressed achieving extreme professionalism in CAP and what that means for us, citing several examples. Yes, extreme professionalism is our goal – professionalism is more of an attitude and a way of being than anything linked to whether or not you receive a paycheck. 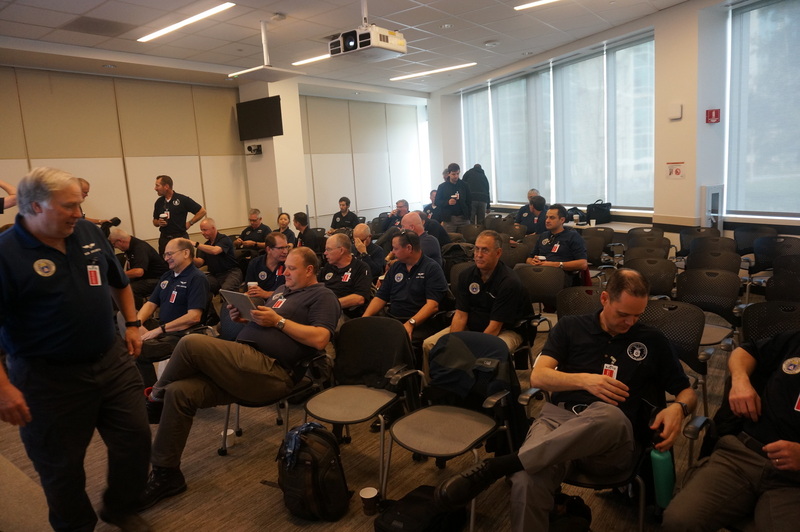 We started off this part of the day with several members sharing stories about learning opportunities from past incidents or near-incidents that they were part of. Thanks for fabulous acting skills, Maj Kubiak and Maj McCutchen presented several hilarious episodes highlighting uniform violations and examples of poor (unprofessional) cockpit behavior. 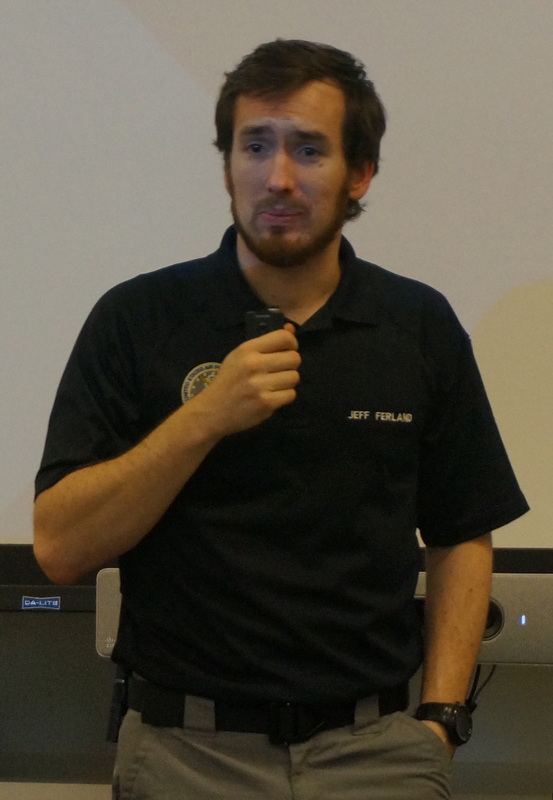 So what is professionalism in aviation? It includes the pursuit of excellence through discipline, ethical behavior, and continuous improvement. 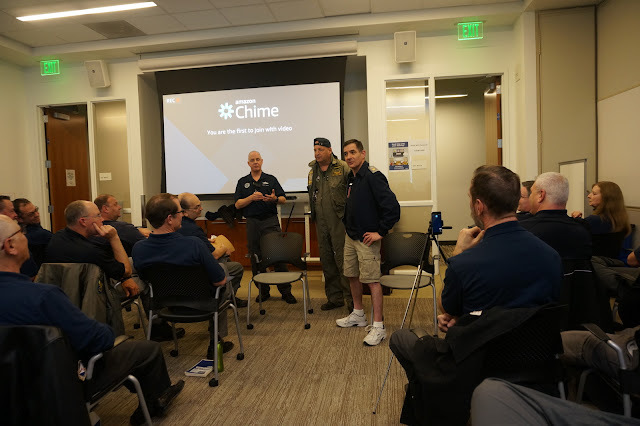 Lt Col Luneau (L front) Leading an Interactive Discussion on Professionalism, with Maj McCutchen (C front) and Maj Kubiak (R front) Demonstrating Violations of the CAP Uniform Regs. Can You Spot the Violations in this Picture? Also, please go visit the Group 2 Stan/Eval website to see the presentations of the day - and a lot of other useful information.